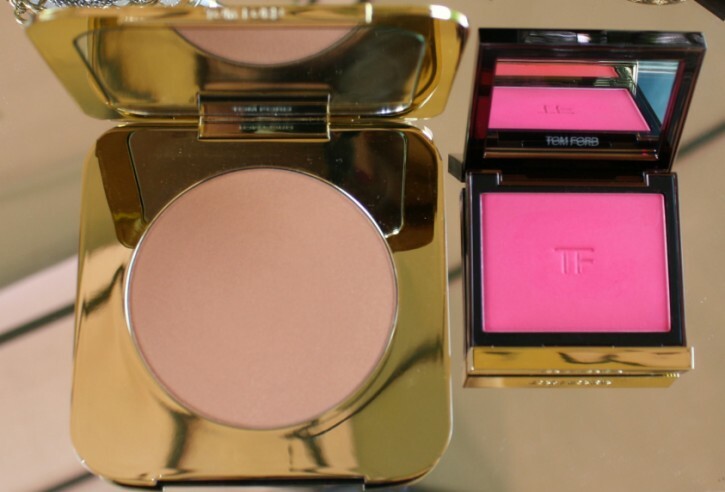 Among the highlights of the TOM FORD Beauty Spring 2012 Beauty Collection was the release of two bronzing powders. I purchased one of the bronzers as soon as they became available but never seemed to find the time to do a review. 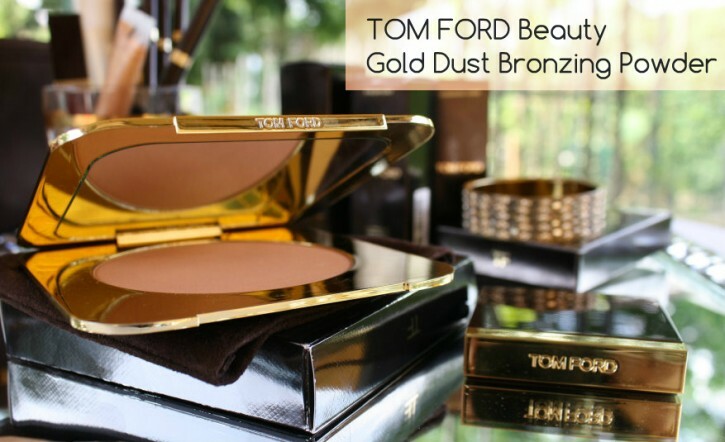 Since then, the bronzers have become a permanent part of the TOM FORD Beauty Color Collection. I recently purchased a back-up of Gold Dust and decided this would be the perfect time to finally get around to that review. First, let me start by saying that the TOM FORD Beauty Bronzing Powder ($90.00) is the largest single item of makeup that I have ever owned. 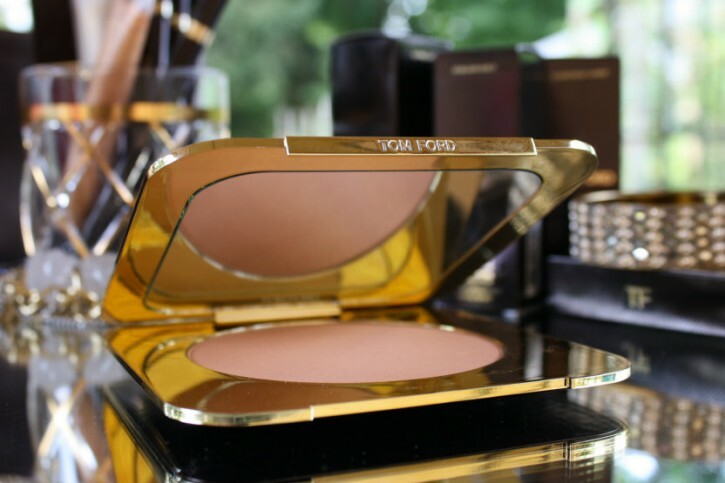 This compact is absolutely massive and holds 21 grams of product. 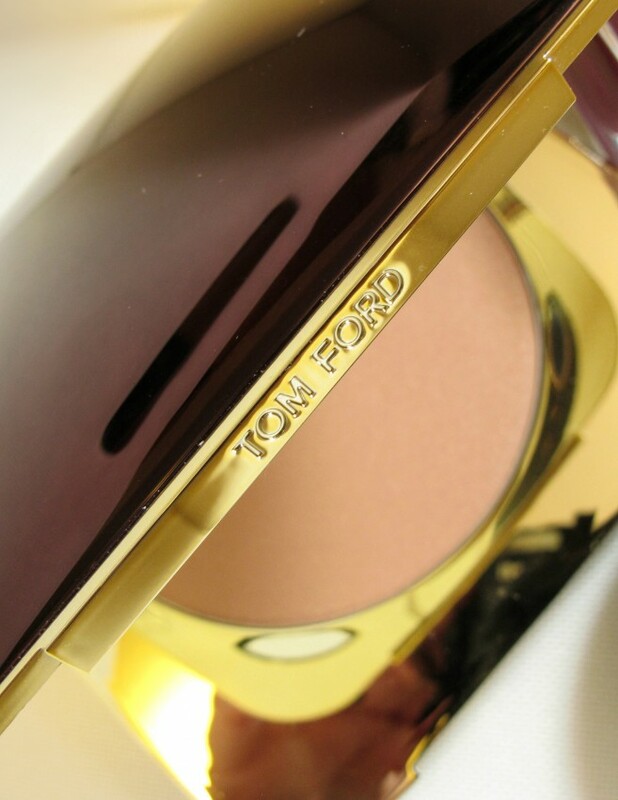 TOM FORD Cheek Colors, in contrast, hold 8 grams of powder. Even with daily use, you would still have a difficult time getting through the whole pan in a year (I still haven’t done so). Seriously, folks, this is one absolutely massive compact. It also happens to be one of the most striking and attractive things I own. When you pull this out of your handbag people do notice. 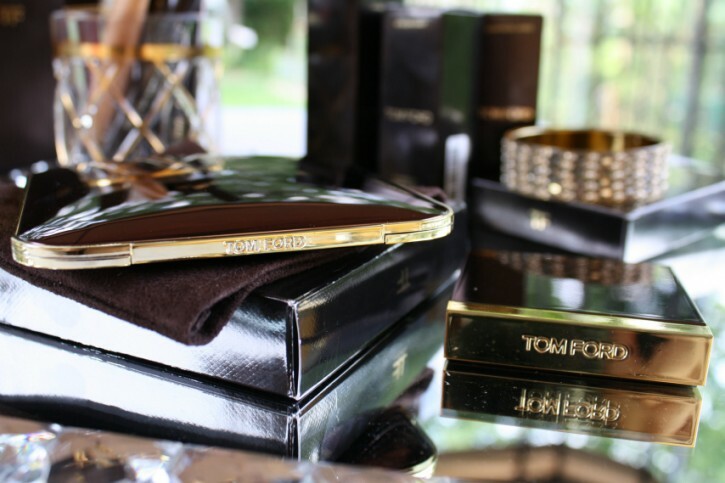 It comes housed in the same type of outer box and velvet pouch as other TOM FORD Beauty products. The compact itself is very flat and wide, with the same mahogany-almost-black shell with sleek gold accents and a large interior mirror. 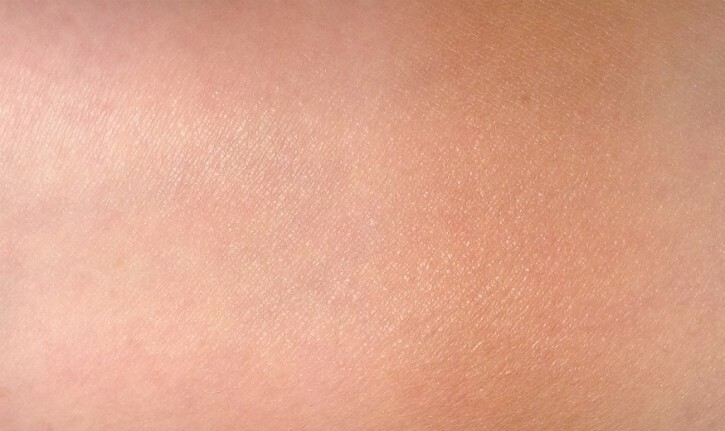 The bronzing powders in the collection are both created with an exclusively formulated rare mineral blend of sunstone, amber and black tourmaline crystals combined with unique pigments. 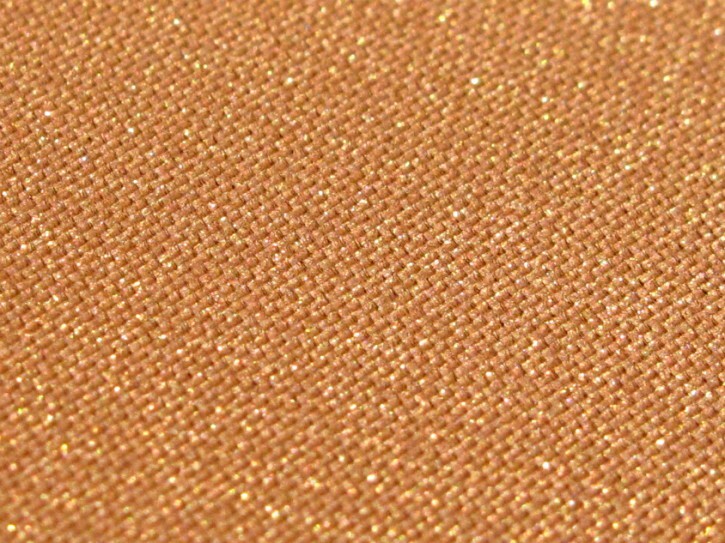 Gold Dust is the “shimmer” shade while Terra is the “matte” offering. I ended up choosing Gold Dust over Terra because I think it’s better suited for light to medium skin tones. Terra is darker and more matte, which can sometime look “dirty” on my skin. 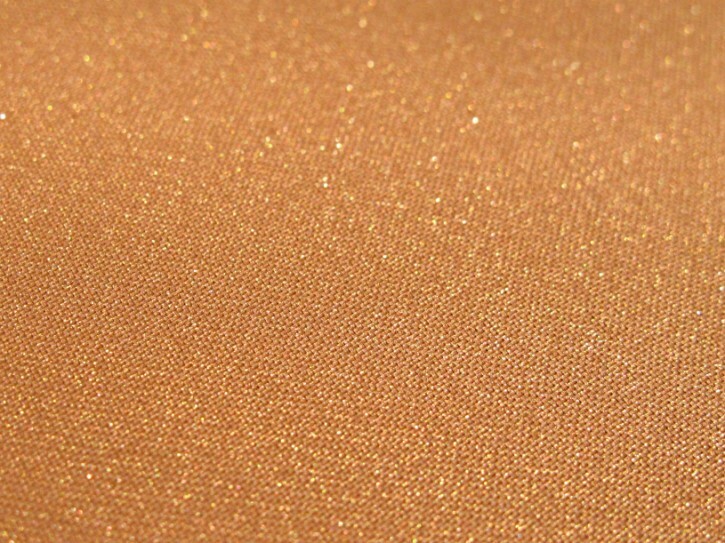 Gold Dust is a warm, golden bronze with a multidimensional microshimmer. It is a striking color and beautifully pigmented. The formula is silky and extremely lightweight. It feels lovely on the skin and blends beautifully. I prefer to use a fluffy brush so that it doesn’t streak or settle into pores (the fluffier the brush, the easier it is to buff out the bronzer!). This bronzer shouldn’t be applied with a heavy hand… when applied properly it will make your skin appear sun-kissed and glowing. In terms of longevity, I regularly get between 8 and 10 hours of wear. 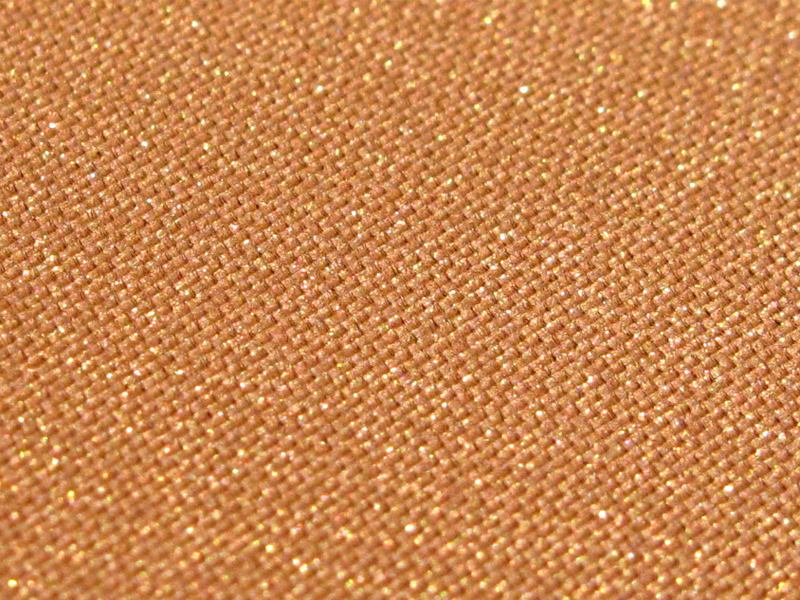 In terms of swatches, Gold Dust proved surprisingly difficult to photograph on my medium skin. In the image below, Gold Dust was applied and buffed out on the left, emulating the sun-kissed glow it provides. It’s a bit difficult to discern, but it is there. The right, in contrast, shows a heavier swatch. You could almost get away with using this as a contour powder, but for that I prefer a matte bronzer. 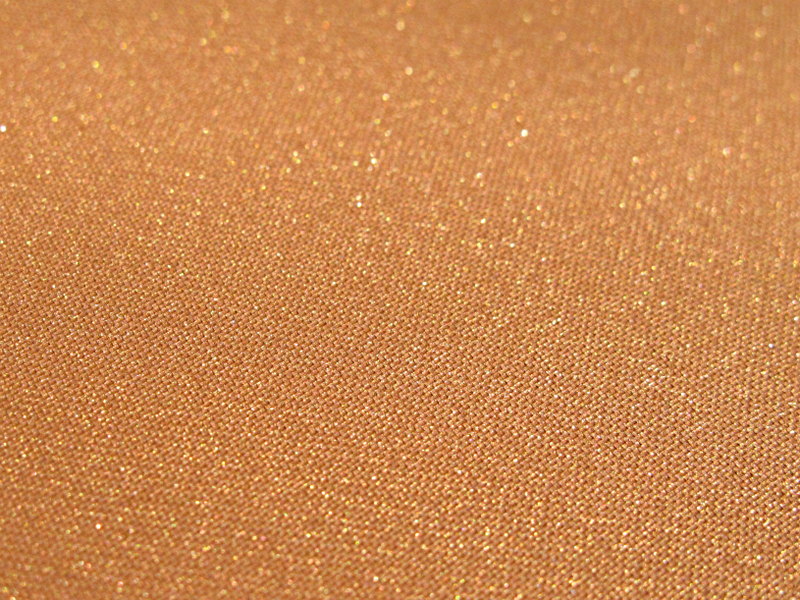 What do you think of Gold Dust?